Pop, My father in law of 20 years. You will be missed dearly... your laughter, and your jokes. We love you Pop! 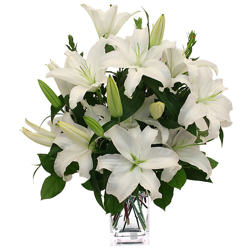 I would like to express my condolences in the loss of your dear loved one. The bible gives us hope of seeing them again in the promised resurrection to come according to scriptures such as [John 5:28-29] and [Acts 24:15]. We find further hope in scriptures like [Isaiah 25:8] and [Revelations 21:3-5] which says in part that Jehovah God will wipe out every tear from our eyes and death will be no more, because God will swallow up death forever. [1 Corinthians 15:54]. I hope these scriptures will be of some comfort. With Deep Sympathy. To family and friends my deepest sympathies to you for the loss of your love one. Losing a loved one in death is very painful. The Bible offers a wonderful hope for our loved ones who have died. The Scriptures found at John 5:28,29 and Isaiah 26:19 promise that our loved ones who have died can live again! May the God of all comfort and tender mercies (Jehovah; Psalms 83:18) sustain you at this difficult time. 2 Corinthians 1:3,4 Learn more about the resurrection hope and how Jesus Christ is going to make God's wonderful promises come true at www.jw.org. To The Family of Mr. Lester, You have my deepest sympathy. May Jehovah God, (Psalm 83:18) continue to comfort, strengthen, and sustain you at this time of such great loss, Psalm 46:1 and Isaiah 41:10,13. For more scriptural encouragement, please go to www.jw.org.